Determine your fertile days of the month, plan ahead for your periods. The Ovulation Calendar helps you determine your fertile days of the month, so you can either achieve or avoid pregnancy. 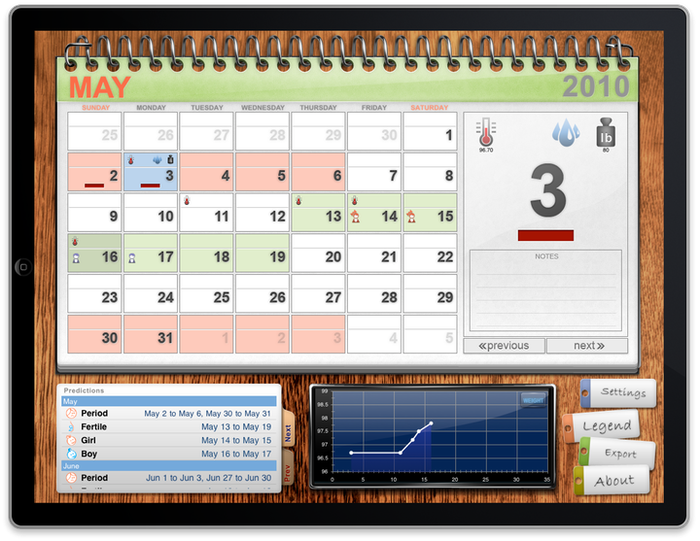 It also maintains a list of your symptoms during the cycle, your BBT chart and your weight chart among other features. 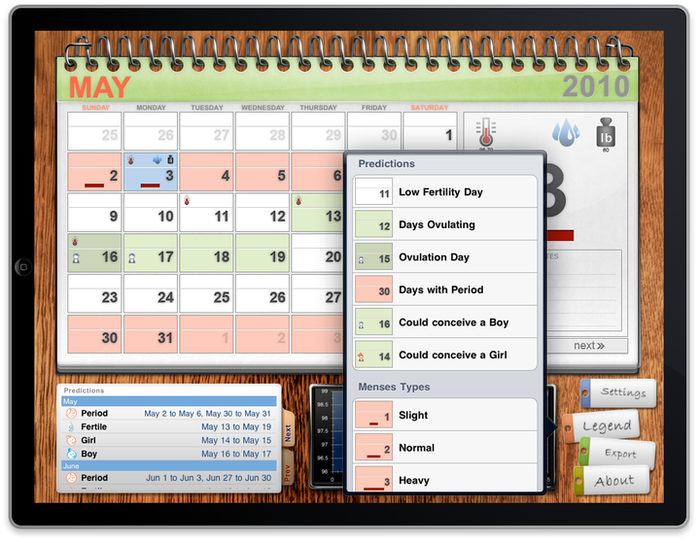 The calendar is based on the date of your periods to predict future ovulations and menstrual cycles. Using the Shettles methods it can help you get pregnant and even estimate the gender of your baby. 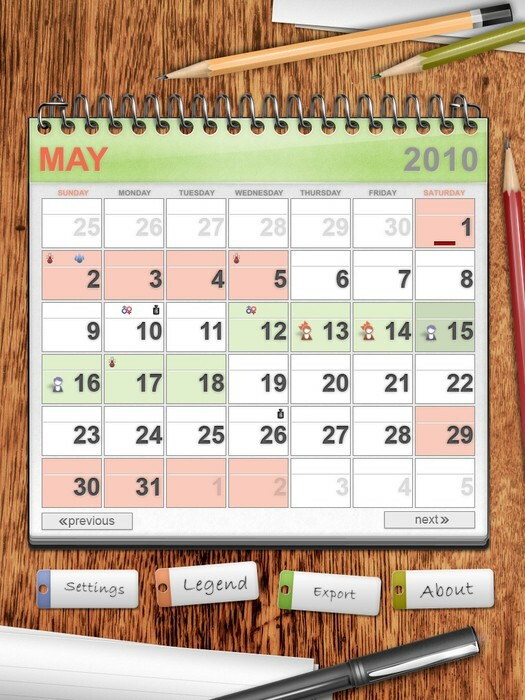 If you don't want to get pregnant it could also be used to mark the days you could avoid a pregnancy. Tap a day to select it. Double Tap a day to enter details. 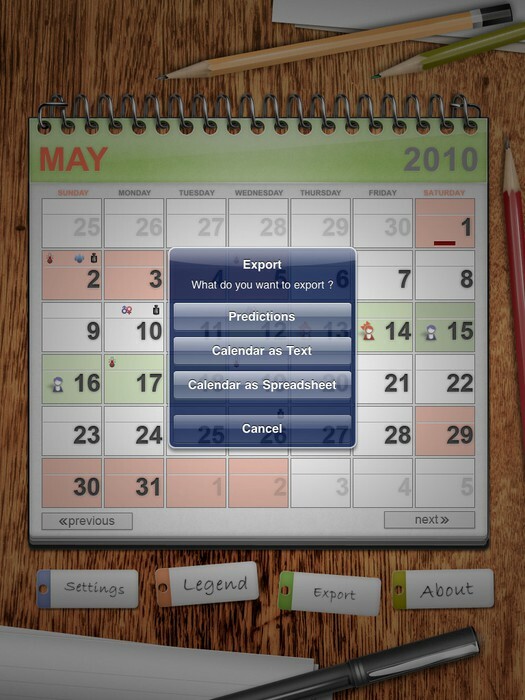 Tap and hold a day with Events to show full details. "Love it! This is a beautiful app, haven't run into any problems yet. It keeps track of period and fertility - great for us newlyweds!" "This is a good app. Discreet so people cam pick up your iPad and play without getting into it. 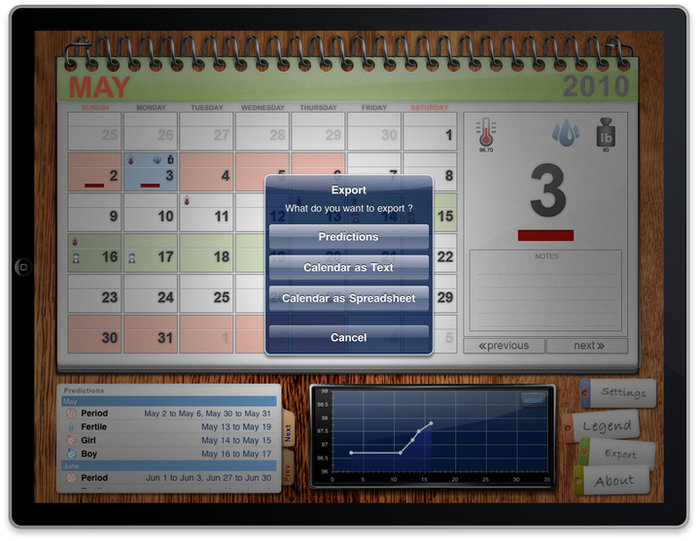 "...the interface is easy to work with and takes full advantage of the ipad's size. " Copyright © 2012 by Dynadel. All rights reserved.